At Falling Waters we are always looking for bright, energetic and compassionate individuals to join in our mission of providing first class healthcare, with a commitment to red carpet service. If you are interested in a career a member of our team, please see the job opportunities listed below, and follow the links to learn more. Note that though there may not be any current openings in the position of your choice, we keep all resumes on file. 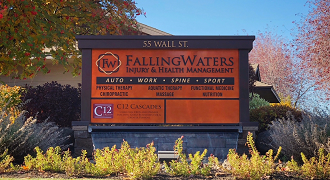 If you are looking for a career in Bend, Oregon and think Falling Waters is the place for you, please contact us via email at [email protected]. Be sure to include your name, contact information, a brief paragraph describing your interest and why you think you'd be a good fit, and attach your resume and cover letter. If we feel you would make a good addition to our team, we will contact you to begin the interview process. We look forward to hearing from you, and thank you for your interest in a career at Falling Waters!